A POLICE dog bit an alleged dangerous driver in a violent struggle following a police chase around the Sunshine Coast. The man allegedly fled from police in Wurtulla last night and has since been charged with several offences including dangerous driving. Police were called to Oceanic Dr about 7.40pm over reports of a suspicious vehicle. "Upon arrival the vehicle sped off and failed to stop for police," a police statement said. "Police followed the vehicle with the driver allegedly travelling at excessive speed in a number of back streets before turning into Gannawarra St where Polair2 commenced tracking the car. "The vehicle travelled north on the Bruce Highway before exiting onto the Nambour Bli Bli Road heading towards Nambour." Police allege the vehicle then turned into Nichols St where a marked police vehicle was rammed, damaging the front bumper and bonnet of the vehicle. The car sped off again but momentarily stopped in Dulong Rd where two passengers, a man and women, got out of the car, police said. Police took them into custody and then laid out stingers on Mapleton Rd, Nambour, to deflate the car's tyres. The vehicle came to a stop at the intersection of Matthew Street and Coronation Drive, Nambour about 9pm. Police will allege the male driver, and now sole occupant of the vehicle, refused to leave the vehicle and struggled violently with officers before being restrained with help from a police dog. The man sustained a dog bite to his calf and received medical treatment. He has been charged with 18 offences including dangerous driving, stealing, possessing and receiving tainted property, possessing methylamphetamine as well as obstructing and evading police. 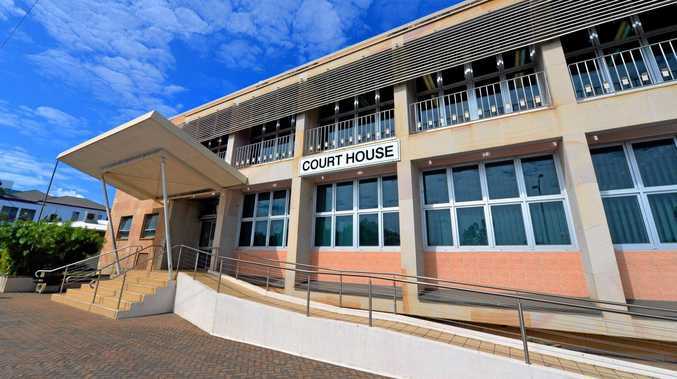 He has been denied police bail and is due to appear in the Maroochydore Magistrates Court today. If you have information for police, phone Policelink on 131 444 or Crime Stoppers on 1800 333 000 .